As anyone who has watched any of the TV property programmes will know, presenting a house or apartment in the right way can be the key to a successful sale. So, once you take the decision to put your place on the market, there are few things to bear to in mind, in order to show it off at its very best. To start with, the property should be kept clean, tidy and relatively uncluttered at all times, as you never know when a potential buyer might wish to drop by. You will always be advised in advance prior to a visit, but this may be at short notice, and it would be a shame to refuse access to a potential overseas buyer who may only be in town for a limited period with the serious intention of putting in an offer before leaving. Bins should be emptied every day, as buyers can be put off by odours, too, and the property should ideally be well-aired. You may also wish to have a nice organic candle burning, or freshly-baked bread is always a popular one too. 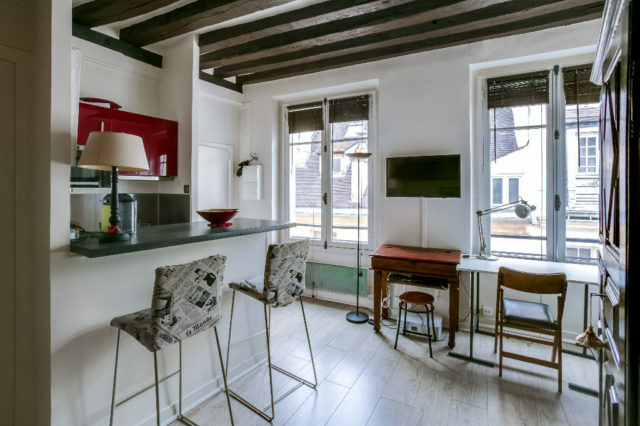 Here at VINGT Paris, we also offer a full-service solution for preparing a property for sale. This is popular with clients who are either out of town themselves or who want to go the extra mile to get everything spick and span. It can also ensure that you maximise your sale or rental price. For example, with our consultation and design service, one of our in-house interior designers will visit your property to conduct an extensive review. Afterwards, they will present a detailed report outlining the steps required to optimise the chance of a sale. With our expert advice, the sale or market price of your rental property could be significantly increased. We can also organise the shooting of professional photos and films to further enhance the value of your property. In order to show your apartment effectively to prospective buyers, we strongly advise you to consider this option. Finally, we also offer additional marketing services where we can promote your apartment through vehicles such as our online newsletters – which go to a large audience of active buyers – and our social media channels. If any of these options sound of interest, please drop us a line and we’ll be happy to provide further details.